Medium (Size 4-6) - $5.99 Only 1 left! Large (Size 7-10) - $5.99 Only 2 left! X-Large (Size 11-13) - $5.99 Only 6 left! 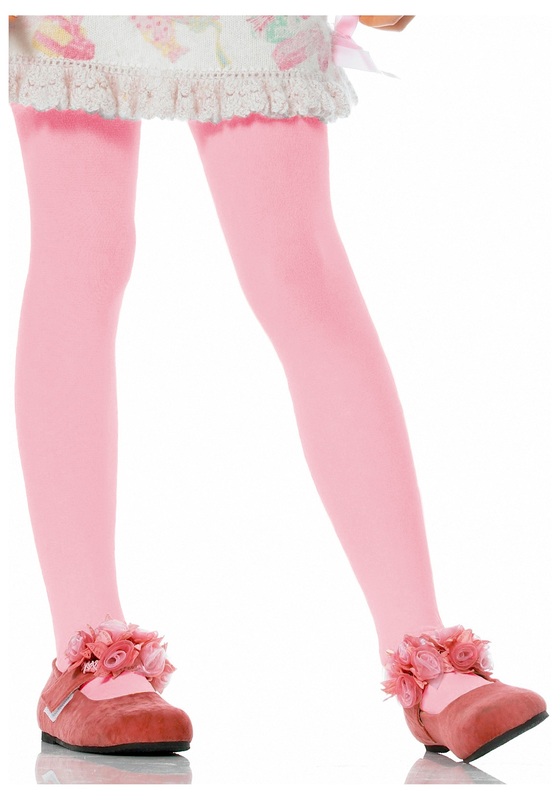 Our Pink Girls Tights are a very versatile accessory. They perfectly compliment any ballerina or princess costume, especially when it’s a little too chilly outside to go trick-or-treating bare legged. We can’t list how many characters, from pigs to superheroes to ponies, have pink legs that would be taken care of perfectly with these tights. The best thing is that if your little girl likes the color pink, which requires no stretch of the imagination, she’ll love working these into her regular wardrobe long after the holiday has passed. You can’t say the same for many of our other masks and costumes! These tights are made from 100% nylon, the first fabric to successfully replace the much more expensive silk for ladies’ stockings. They’re a happy bubblegum color that will likely match many other pieces of your girl’s collection. These are a sure-fire hit! Average. They're as described. Haven't put them on her but look like they'll fit.